Carb blockers allow starch and carbohydrates to pass through the body without being digested. Consequently, the body does not use those calories. 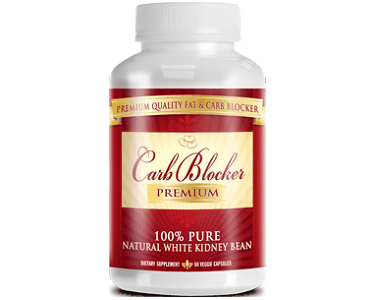 In this review, we examine White Kidney Bean Extract. Starch blockers are also known as amylase inhibitors. White kidney beans are used as the amylase inhibitor in this blocker. Scientific studies have linked kidney beans to lower fat and calorie absorption. Often, starches and carbs contain simple compounds with low nutrient value. As a result, they are often called ‘empty calories’. This means adding calories but without any benefit. In the case of protein, for example, one of the benefits is the amino acids required to build muscle. Muscle, in turn, causes your body to burn more fat and increases your base metabolic rate. 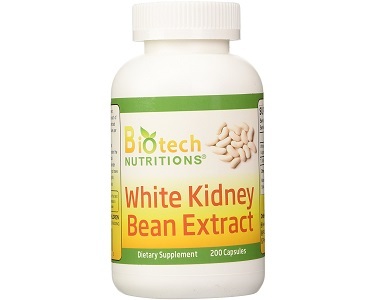 What’s in Biotech Nutritions White Kidney Bean Extract? White kidney bean extract of high quality, 500 mg per capsule. There is evidence that white bean interrupts how the enzyme enzyme amylase works. Carbs are broken down via amylase. If the carbs cannot be adequately broken down, they cannot be absorbed. Due to this, most carbs will not be taken up in the body in the form of calories but simply exit right through the digestive tract. Note though that most simple carbohydrates in the form of sugar and even some sugar sweeteners can still be absorbed by the body. They are ‘simple’ and therefore small enough not to require breaking down. A carb blocker can only achieve so much on its own – exercise and a good diet are essential. 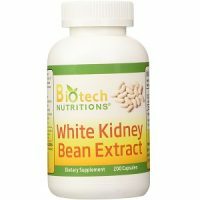 How Do You Use Biotech Nutritions White Kidney Bean Extract? Before each of the two biggest meals of the day, take 1 capsule with water. Do not take more than 4 capsules daily. Not suitable for children or pregnant or nursing women. You’ll pay $19.99 for a 100-day supply. At the time of writing this review, you could purchase 5 bottles and get 3 free on the product website. There is no satisfaction guarantee. You may only return unopened bottles within a very short 3-day period. The product is easy to use, and a simple and effective way of kickstarting your calorie-deficit program. This supplement is vegetarian-friendly, and is made from natural products. The product receives above-average reviews. Based on our research, this product will work best for people who consume high fat and carbohydrate counts in their diet. It will hardly be effective if you already follow a balanced, whole grain and leafy green diet, and exercise regularly. Do note that although the manufacturer encourages repeat uptake of the product, the long-term safety of these kidney beans has not been ascertained. You may experience discomfort such as bloating and gas at first, or after prolonged use. Our main reservation about this product is that it does not come with a solid guarantee. We only recommend buying it in the instance that you are willing to try it risk-free. We also feel that the addition of other vitamins and probiotics would have helped to sustain long-term digestive health, and counter the effects of radically depriving your body of carbohydrates.